Whether you enjoy the sticky amber manna that is honey or not, there are a ton of potential uses for it in survival situations, or simply to maintain your everyday health. It has been a popular remedy for centuries, and with good reason. While you may be thinking solely of the little grocery store bears, there are literally thousands of different types of honey. We’ll go over some of the varieties noted for their health benefits. This type of honey is lightly processed, unpasteurized, and unfiltered. It tends to be darker in color than most grocery store honey and may contain particulates of pollen and wax. You can buy raw honey from local beekeepers. Many types of honey would be classified as raw. 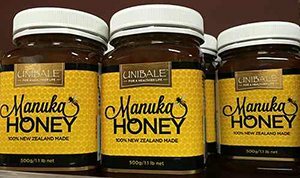 This type of honey is made from the Manuka bush in New Zealand and is so noted for its healing properties that it has garnered approval in a brand name form from the FDA as topical medication for wound care. It is filtered by UV light for sterilization purposes to retain its healing properties. Made by bees in the Peruvian rain forests, this honey is prized the world over for its wellness purposes. Dark amber in color and much thinner than the above named honeys, wild honey is much less sweet than most other honeys. Other common varieties of honey are based solely upon the plant pollen’s they’re made from, including clover, alfalfa, avocado, and blueberry. Wild flower honey is a catch-all term frequently used for honey of unknown origin. It comes in many forms including liquid, honeycomb, cut comb, whipped, and crystallized. Supplies Antioxidants – Antioxidants help reverse the damage done to your body by lifestyle or environmental conditions, and many types of honey contain high levels of them. Wound Healing – Honey is well-known for helping wounds heal. Manuka honey is commonly used for this purpose. Honey is perfect for this usage in a SHTF situation, simply due to the fact that it’s available in the wild and works exceptionally well. Soothes Sore Throats – In hot tea with lemon or all by itself, honey can help soothe a sore throat. Relieves Cough – Honey has been shown to be as effective as many OTC cough syrups without the nasty side effects associated with that type of medication. A spoonful may eliminate the urge to cough. Helps End Constipation – Honey has mild laxative properties that may help relieve mild constipation. Soothes Upset Stomach – Honey coats the stomach and contains nutrients and enzymes that may help eliminate nausea. Gut Balancing Powers – The antibacterial properties of honey may help keep bad gut bacteria in check, allowing good bacteria to prosper. One example of this balance is peptic ulcer-causing H. Pylori levels decreasing with the consumption of a couple teaspoons of honey on an empty stomach. Burn Care – Honey works great to both heal mild burns and keep them from getting infected. Simply apply it to the burn and cover with a bandage. Lessens Allergy Symptoms – Raw local honey is thought to help alleviate seasonal allergies by introducing the pollens that cause the reaction directly into the body. Think of it as exposure therapy that tastes good! Aids Sleep – It’s thought that a spoonful of honey provides your brain with the fuel it needs to get through the night, thus helping you get to sleep and stay that way. Dandruff Cure – Honey diluted 10:1 with warm water can help eliminate unsightly, itchy dandruff, studies show. It’s thought this effect is due to honey’s antibacterial, antifungal, and anti-inflammatory properties. Provides Energy – Honey contains lots of unprocessed sugar, which mean lots of carbohydrates. Carbs equal energy. Aids Digestion – It’s thought the enzymes present in honey may help you digest food more effectively. Weight Loss – The digestive benefits listed above are thought to help aid in weight loss. Despite the fact that honey contains lots of sugar, which is not ideal in most diets, the enzymes are said to help break up fat stored in your body for energy. Workout Recuperation – Honey can help your muscles and joints recover after a workout due to the nutrients and glucose it contains. Acne Treatment – Raw honey applied directly to acne spots may help to improve the look and feel of acne marks and decrease healing time. Used regularly in a cleanser, it can help eliminate the bacteria that cause acne. Blood Sugar – Honey is thought to be better at maintaining blood sugar levels than other more processed sweeteners. This may be due to honey’s unique glucose/fructose ratio. Moisturizing – Honey is great at moisturizing skin, which can become important in many survival situations. Soothes Skin Abrasions – Honey can help wounds, scrapes, and burns to feel better as well as heal better, decreasing discomfort associated with broken skin. Cold care – Honey can be used to soothe inflamed membranous tissues like the nasal passages when a cold is coming on. Wild Sweetener – Honey is, if absolutely nothing else, a sweetener that’s available nearly all over the world in the wild. Commercial sugar and other substitutes could be difficult to come by in a survival situation, but honey is always there if you know how to find, harvest, and process it. Parasite Elimination – A mixture of vinegar, water, and honey can help to rid the body of parasites that could be harmful. Contains Phytonutrients – Honey has lots of nutrients from the plants it’s made from. Nutrients support all of your body’s systems. For short-term storage, honey should be stored at room temperature in a dry, dark place like a cupboard. A secure lid is important to keep out contaminants. Honey is actually great for long-term storage because it can be used indefinitely. The short term directions still apply, though you might consider keeping honey on the lower end of room temperature to keep it from potentially fermenting. A root cellar would be perfect for long-term storage. If you see crystals have formed in stored honey, there’s no need to worry. Simply place the container to simmer in warm water and the crystals will dissolve. The crystals indicate that the honey has lost some of the liquid it initially contained. 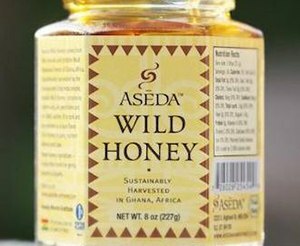 Aseda Wild Honey is harvested in Ghana, West Africa. Not the Peruvian jungle as your article states. I have been gardening for about fifteen years now and only had bees for last summers crop. Best production we have ever harvested and I attribute the success to the system God set up through bee pollination. I can attest that many farmers would encourage Bee Keepers to set up their Bee Boxes at the back of their crops…….near easterly….so the bees would pollination of their crops. My great grandparents and grandmother done this in south west Indiana. I worked the farm every summer from age 10 to 17. I was taught many things and I wish that I had paid attention much more. Amazing to see the difference from one year to the next. Fuller plants and very few died. Ah, honey! A delicious food that you can add to almost anything, that’s also natures healer. I always have a few kinds of honey around here. I think it’s interesting that you can tell what the bees feast on by what their honey tastes like. Interesting how healthy honey is! Bee stings are also good. My grandfather the Beekeeper used to take his shirt of around the beehives to get a few good stings for arthritis, when he felt he had enough he’d put his shirt on again. Now we are learning that Bee venom is good for arthritis. Great article, thanks for sharing! Honey is such an amazing tool in the prepping arsenal. It’s helpful in healing wounds in both humans and animals. 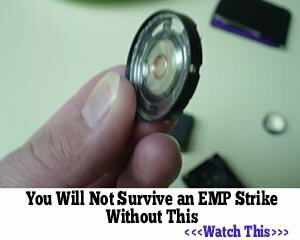 I really couldn’t live without it, especially in a SHTF situation! I started beekeeping last year . I had 4 hives. Over winter I lost 2. This year I connected with other beekeepers, passionate and generous people. I now have replaced the lost 2 and gained another . I have 5 now. After losing the 2, I harvested the honey. I ended up with almost 8 gsllons. I sold enough, 25 per quart, to replace my hives. But those generous keepers gave me captured swarms . Beekeepers want to help fledgling beekeepers. Generous people with great passion for our little friends. 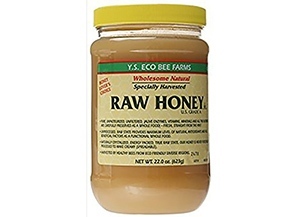 I purchased 30 lbs of raw honey ( exact type escapes me) and have had it stored in the upper parts of my garage in Calif where it’s often warm to downright HOT. 4 yrs it’s been up there. Do you think it’s been damaged by excessive heat? I was simply told that it would last forever no matter what it endured.. Now hearing room temp preferred. Thank you, and great info …. The word “Manuka” has been around for about 100 years or more in Tasmania, Australia. But like a lot of things, the Kiwis are trying to trademark a word and call it their own(kiwi fruit, New Zealand spinach etc). The Manuka honey in Australia has been shown to have higher healing properties in a lot of areas because of the large varieties of Leptospermum plants. Why am I having a whing about this, I hate to see trying to “own” public property and people should not pay too much for manuka honey just because it comes from New Zealand. Just check the anti bacterial grading of the manuka honey when purchasing because some are a thin blend to dilute and extend profits. Cheers. Honey loses its antibacterial properties if heated above 62or63degreesF. I noted a comment in article of putting in hot water/tea. I like this site very much, Its a real nice position to read and find information. points, I also think this is a very wonderful website. hi!,I really like your writing so so much! proportion we be in contact more approximately your post on AOL? people will consent with your site. this web page and at the moment this time I am browsing this site and reading very informative posts here. this post is written through him as no one else recognize such distinct approximately my difficulty. remember this site and give it a glance on a continuing basis. You missed one good thing about honey. When making bread, substitute 1 T honey for 1 T of the sugar, It keeps your bread from drying out so quickly and it also keeps the bread from molding so quickly. Unfortunately, everyone knows it is incredibly difficult to refrain sometimes. white blood cells to help fight infection preventing the flow of blood. Use an Exfoliating Facial Wash – Cleaning the face with water and soap isn’t enough.